We are always eager to have passionate, hard-working people join our pack as long-term volunteers. Below you’ll find important information about volunteering at WSWS and what to expect from your stay. Please read it all carefully! If you’re interested in volunteering, please send an email to wswsapplications@gmail.com with a letter of interest and your resume! We can’t wait to hear from you! RULES: Volunteers must be at least 21 years old. There is no drug or alcohol use allowed on sanctuary property. Animal interaction is a privilege granted only after extensive training. Interacting with animals without express permission will result in immediate dismissal. GETTING HERE ~ Considering how remote we are, driving to the sanctuary and keeping a car with you is certainly recommended. However, we are happy to help you get here if that’s not feasible. Most volunteers fly into Albuquerque, but if you have other travel plans, we will do our best to accommodate them. Depending on arrival timing, you may need to spend a night in a hotel. If you do stay in Albuquerque or another nearby town, please let us know where and we will meet you at a scheduled time. 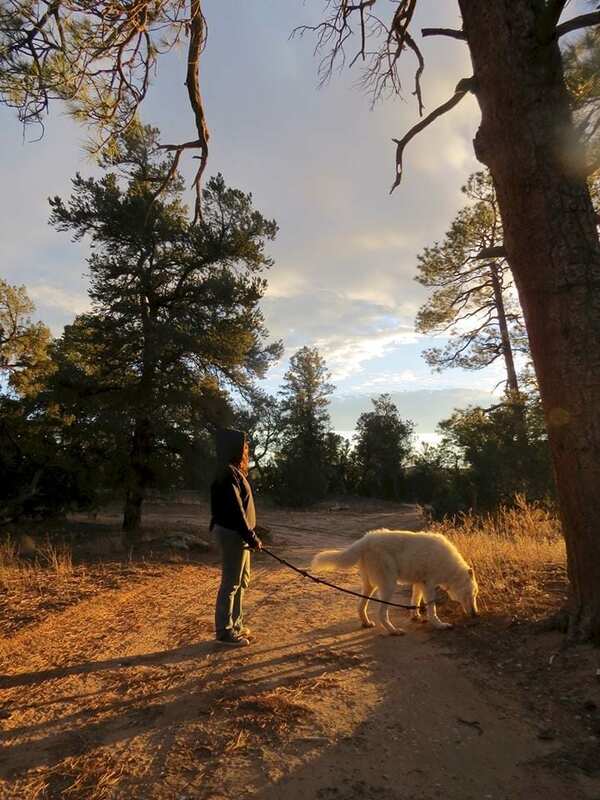 LIVING ARRANGEMENTS ~ Our volunteer lodgings are all situated around the sanctuary’s perimeter fence. You may be housing with a roommate or living alone, if space allows. Volunteer dwellings include rustic hogans and small single-room houses, all of which are very modest and not luxurious in any way. Your dwelling may be solar-powered, wired for electricity, or potentially none of the above. None of our volunteer homes include running water and many depend on wood-stoves for heat in the winter. Common space includes an extremely rustic communal kitchen and a small, attached living room. Volunteers must be prepared to spend a lot of time in close quarters with the rest of our pack. ANIMAL CARE ~ Animal care applicants MUST be able to commit to a minimum of six months. No exceptions. The majority of our volunteer applicants are interested in working with our rescues, and we completely understand that. However, it’s important that animal care volunteer applicants know that the majority of their time will be spent doing other tasks, not working directly with the animals. They must also be prepared for extremely labor-intensive work, including heavy lifting, long hours of standing, repeated bending, and plenty of walking. 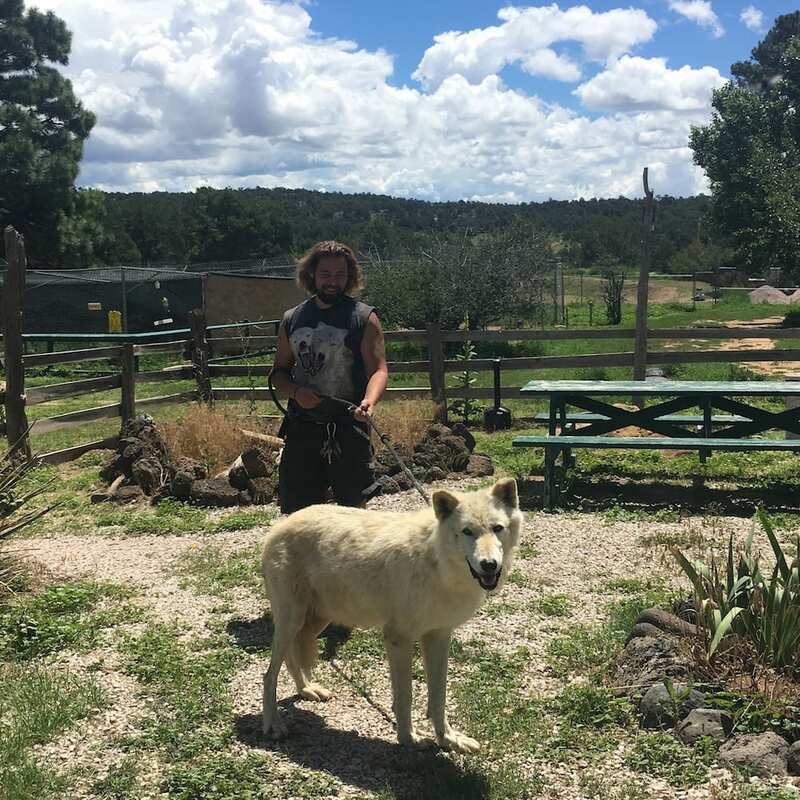 Animal care volunteers spend most of their time in our Wolf Kitchen, where meals are prepared for the rescues, meat is sorted and processed, and a whole lot of clean-up follows after. In down time, seasonal chores and assisting in other departments also falls to our AC volunteers. MAINTENANCE ~ We are always looking for volunteers who are interested in working for the animals without directly caring for them each day. Our maintenance department has an ever-growing list of jobs to do, and they are always in need of volunteers who are experienced and posses relevant skills. Tasks may include anything and everything, whether it be building repairs, property improvements, enclosure maintenance, habitat construction, vehicle repairs, general sanctuary upkeep, and assisting with other projects as needed. ADMINISTRATIVE ~ As a non-profit and functioning business, we have quite a bit of office work that goes on behind the scenes. These jobs include managing our online presence, marketing tasks, guest and donor communications, member services, customer service, gift shop management, and educational outreach, to name a few. If you have talents that are suited to one of those avenues, we’d love to hear from you! There is so much that can be done for our rescues outside the physically exhausting work of animal care or maintenance. SPRING ~ (March – May) Spring is the season of layers and unexpected snow! We may experience snow as late as May, and freezing temperatures are still common, especially in the early morning and at night. However, we might also have some early summer heat and sunshine! Either way, expect a variety of weather and with it, a whole lot of MUD. With spring comes property upkeep and improvements, landscaping/grounds maintenance, and a whole lot of battling the mud to keep the daily tasks going. Animal care happens each day no matter the weather, so be prepared to be outdoors rain, shine, or snow. Roads may be very difficult to travel depending on the amount of rain and mud, so you may not be able to get your car out to visit town. Be prepared for some frustration there! A thick blanket or sleeping bag; gloves; clothing you can layer; a raincoat; and sturdy boots that can handle cold, mud, and snow. SUMMER ~ (June – August) Summer out here in the high desert can be very hot with little relief from the sun. You will need to be vigilant about protecting your skin and keeping yourself hydrated. Be prepared for “no-see-ums” (tiny biting gnats), mosquitos, and seasonal allergies. Summer is the season for weeding and major outdoor projects. You can expect heavy manual labor, tedious weed pulling for hours on end, and all of the usual daily tasks made more challenging by the heat. This is also the busiest tour season, and sometimes more than a hundred guests will visit the sanctuary during the day. Despite the heat and hard work, we expect our volunteers to look presentable while interacting with our guests – clothes cannot be too revealing or excessively grimy. Shorts, tank-tops, and flip-flops (jeans and close-toed shoes are still required during working hours); sunscreen; sunglasses; DEET-free bug repellent; a water bottle; and a hat. AUTUMN ~ (September – October) Although it is short, fall is typically the best season to be here, as far as the weather is concerned. The mosquitos and other biting bugs will be dwindling. The nights will be chilly, but the days are still warm, so plan to dress in layers! You can still get sunburnt but will definitely want a sweatshirt, too. Projects vary considerably depending on the weather; however, volunteers will certainly be involved in the preparation for winter, whether it be gathering and chopping firewood, improving habitats for colder weather, or other tasks. 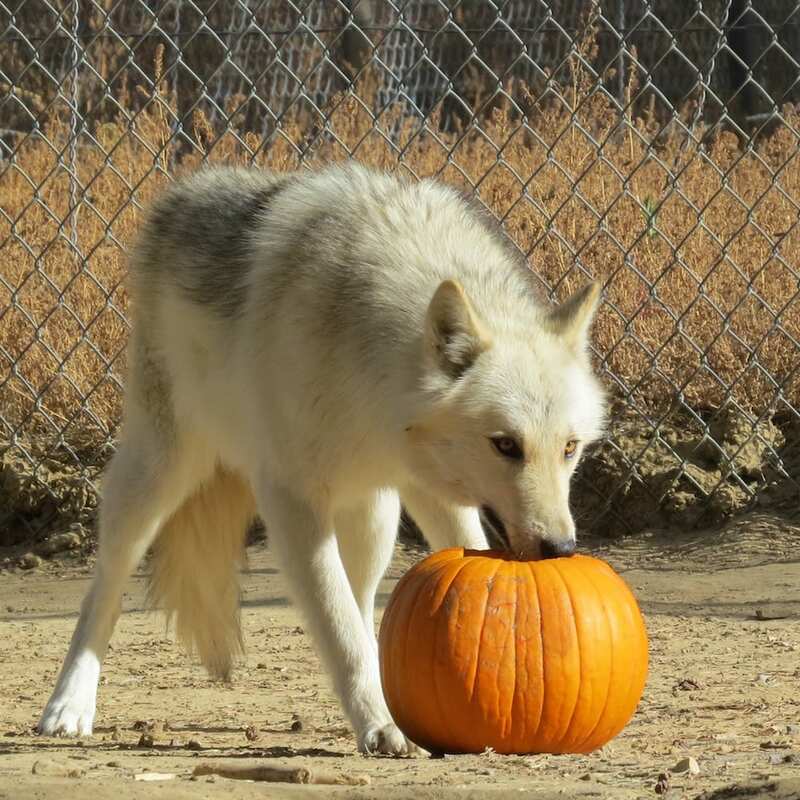 The start of hunting season means our Wolf Kitchen will be begin to get very busy processing game meat donations in addition to our usual donations from a local food pantry – so be prepared for some blood and gore! Clothing you can layer and un-layer; sunscreen; sturdy boots that can handle all sorts of weather; and a warm blanket. WINTER ~ (November – February) In the winter, life here at WSWS can be very tough. 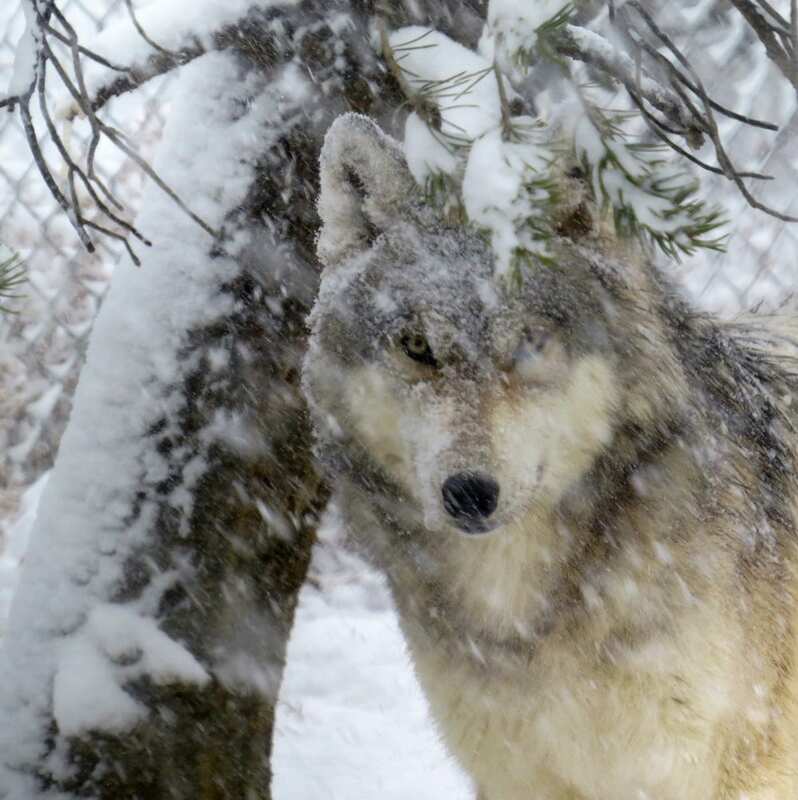 However, it is also the most beautiful, and the wolves are at their absolute best in the cold weather. Our daily tasks still need to get done, even in 2-3 feet of snow, and tour guests will still show up, even in the middle of a snowstorm. Winter volunteering means being outside in the extreme cold, working with a smaller staff, and having life complicated by impassable roads and power outages. There will be a lot to do, and less hands to do it. Thanks to hunting season, our meat intake will triple, meaning a lot of time spent digging through barrels of raw meat. 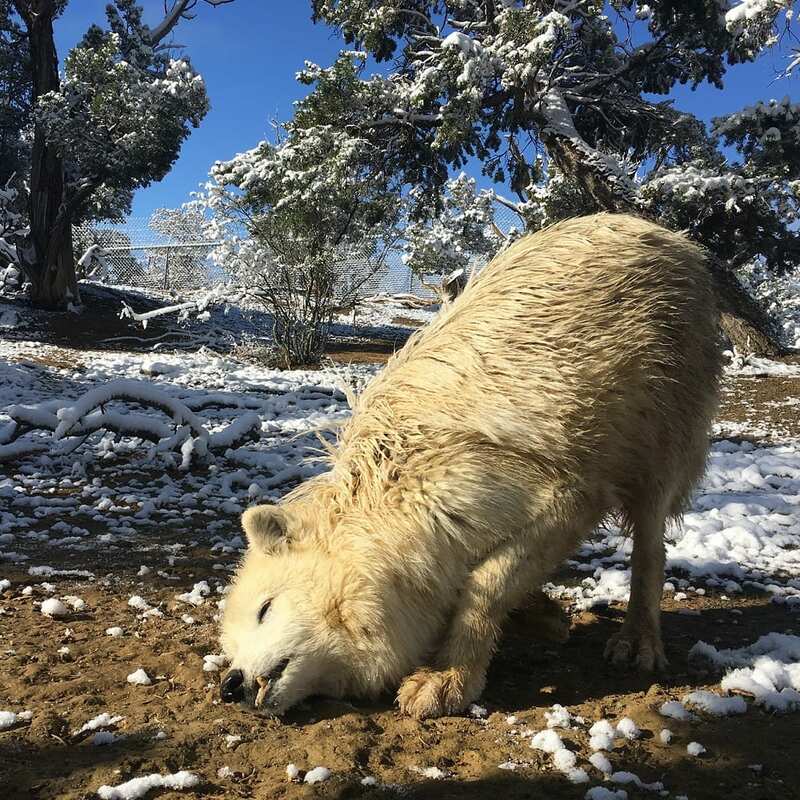 That being said, the wolves will be active, happier, and they will look their best in their winter coats! Sweaters, sweatshirts, long-johns, heavy socks, and anything else that will keep you warm; durable, water-proof boots; books, DVDs, games, and other entertainment; several pairs of water-proof gloves; a winter hat; your camera! The sanctuary is REALLY remote, and you’ll often have to find ways to entertain yourself. We do not have cable or local entertainment options, and Internet does not extend to volunteer housing at this time. If a car is an option for you, bring one. Everyone needs time away now and then, and a car will help. Making your space your own can be the difference between feeling at home here and feeling homesick. Even if it means over-packing, bring some personal items that will help you feel happy and settled in your house! Expect to get dirty, every single day. Leave the fancy, expensive clothes and shoes at home!